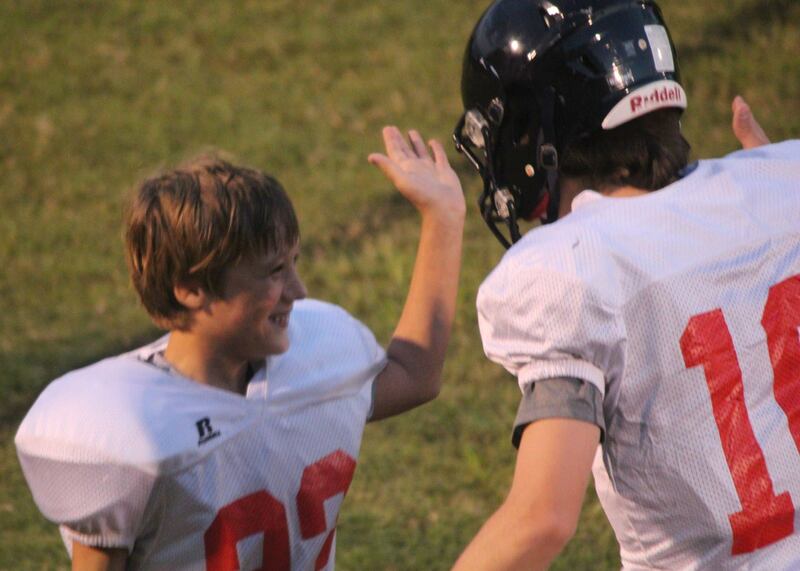 13 year old Timothy Kiser LOVES football, more than just your average child. According to his parents, he lives and breathes it. He is constantly talking and dreaming about it…even sleeps and showers with a football. Tim’s biggest dream is kicking a football in a real game, unfortunately, his fear of being hit by the other players has been bigger than his dream up until now. Tim always says he’s going to be a Kicker for the University of Alabama one day. But this is not the end of the story…. 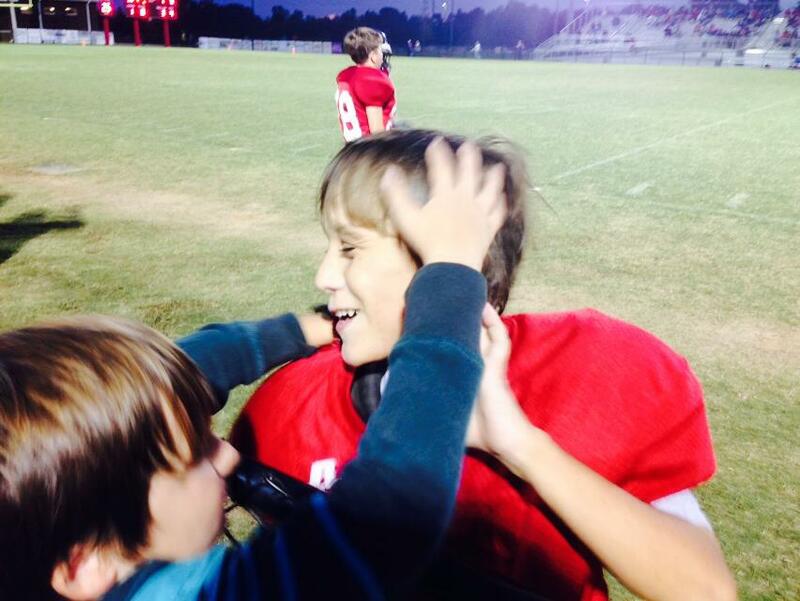 Tim was very frustrated with himself after the game last week, says his Mom, Martha Denson. “When he got in the car that night, he said ‘Mom, I let my Coaches and my whole team down tonight.” Martha reassured him he would kick it next time. Tonight, Tim finally overcame his fear with the help of his Coaches and teammates pulling for him. 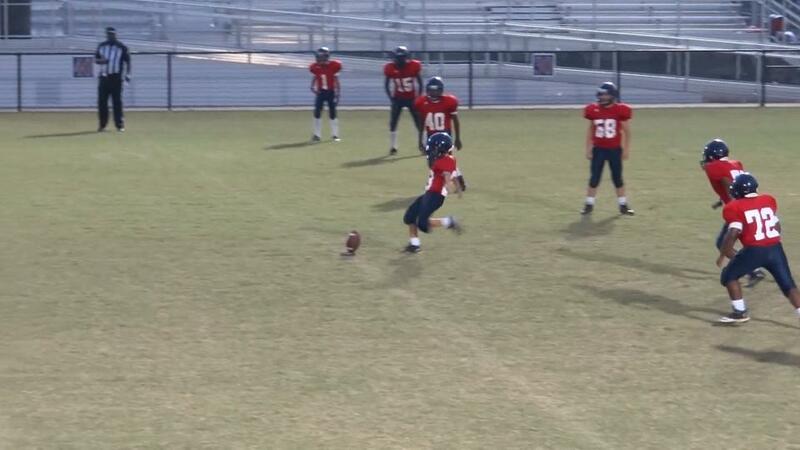 He may not have kicked the ball very far, but something tells me you’re going to hear more of this young man. 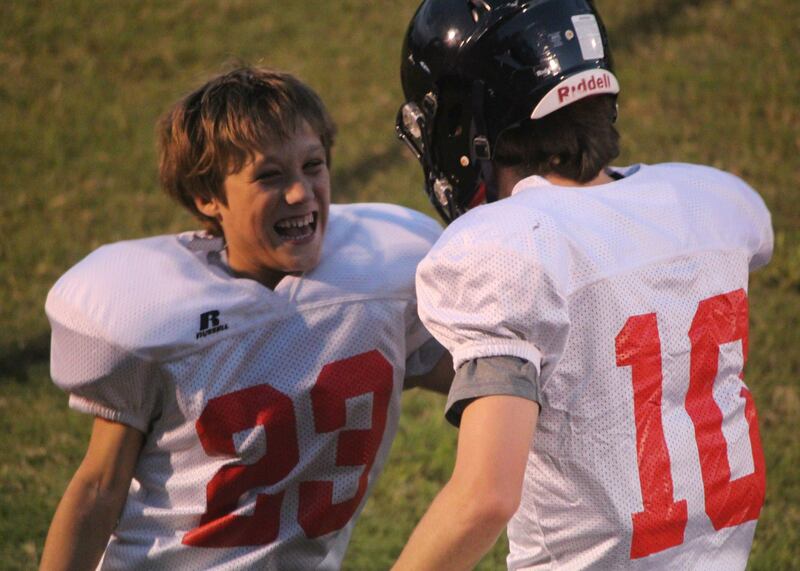 “Next time I’m gonna kick it harder” he told his Mom when he came off the field wearing a big smile. This is one very happy boy! Kevin and Martha wish to thank Tim’s Coaches past and present, and everyone else who played a hand in helping Tim begin to conquer his fears and achieve his dream.